A WOODWORKER GIFT TOOL ASSORTMENT of well preserved and thoroughly practical high quality tools for the woodworker on your list. 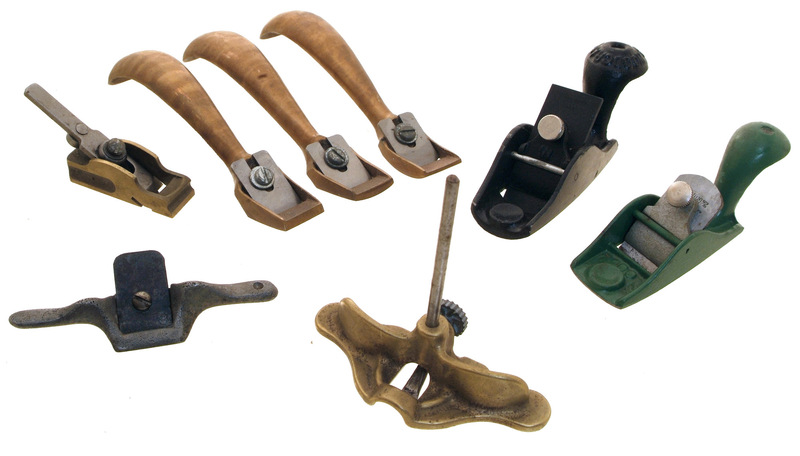 Included in this grouping are a set of three brass handled shaves, including two hollowing and one flat sole type; a cast brass router plane; and aluminum spokeshave; an unusual adjustable brass grooving plane; a Kunz No. 100 squirrel tail flat sole block plane; and a woodcraft No. 100 1/2 convex sole squirrel tail plane. All are in top condition and could be put directly to work.